We live in the era of the stimulating, but sometimes daunting 24-hour news cycle. It seems that everywhere we look there is breaking news flooding the headlines. However, as PR professionals, this offers frequent opportunities to garner coverage for clients to stay relevant and provide their expertise in response to these headlines. 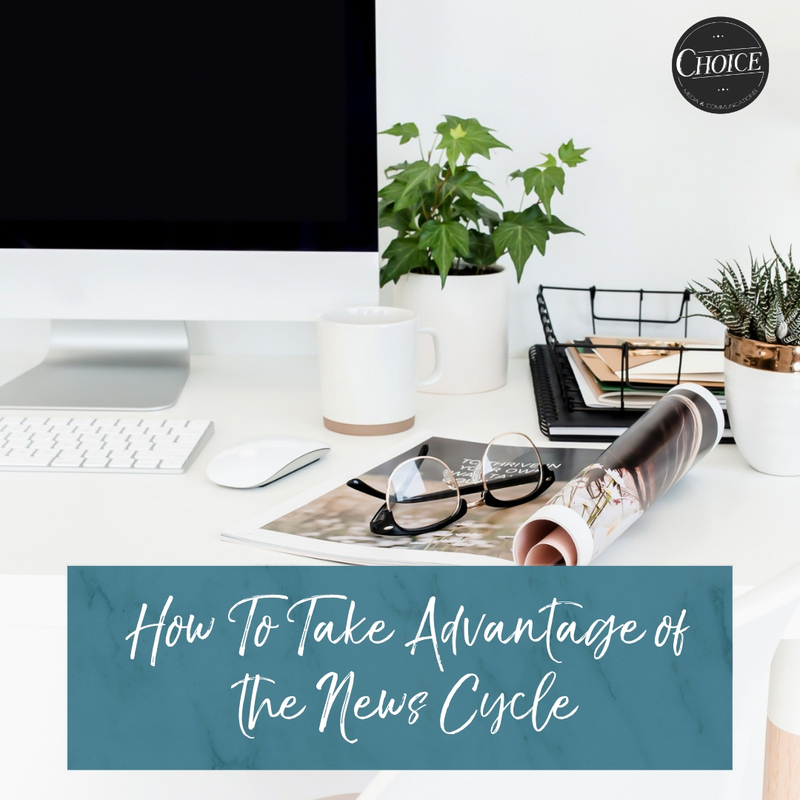 Here at Choice, we believe it is vital to stay on top of the news cycle as we see it as an incredible way to secure coverage. To see success in this arena, we know it is crucial to be proactive. Below, find some tips and tricks that have proven beneficial to our own clients. 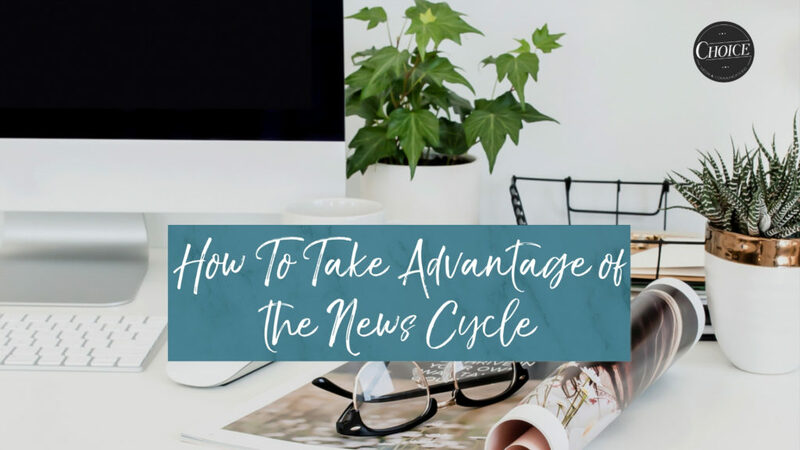 Engage with the News Daily – To take advantage of the news cycle, you must know what is going on in the news. I start my work day every morning by making sure I am up to date with the latest headlines. To stay updated, subscribe to a variety of outlets, so you get their bulletins or newsletters in your inbox throughout the day. Also, immerse yourself in the outlets that are covering pertinent stories that make sense for your clients. Continually research these opportunities so you can be ready when a relevant chance comes your way. With the recent loss of Luke Perry, we knew it was a very important time to reach out sharing that a stroke could happen to anyone, at any age, no matter the circumstance. Because we were engaged with the news, immediately after the story was out, we knew that the media would be looking for a response from sources who could offer their knowledge and personal experiences with the matter. 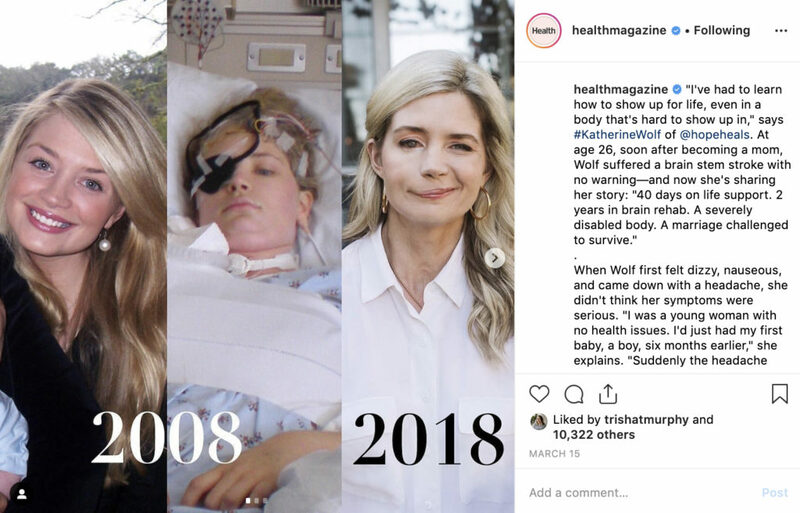 We pitched media that day offering Katherine Wolf, who suffered a brainstem stroke at the age of 26. Health, Parents, and Shape published content from Katherine the next week in response to Luke Perry’s death. She was able to share more of her personal story to both raise stroke awareness and help educate on the matter. Be Familiar with the News Cycle – Stay familiar with how the timing of the news cycle works. If a breaking news headline arises that your client can offer their expertise, familiarize yourself with the best outlets that would be relevant for your client, including their respective news cycle so you are pitching them at the appropriate time. Timing matters, so adjust yours to work with the outlet’s. Earlier this year, Shape released an article where Jillian Michaels shared her personal negative feelings and opinions toward CrossFit, including why she doesn’t consider it to be an effective option for exercise. 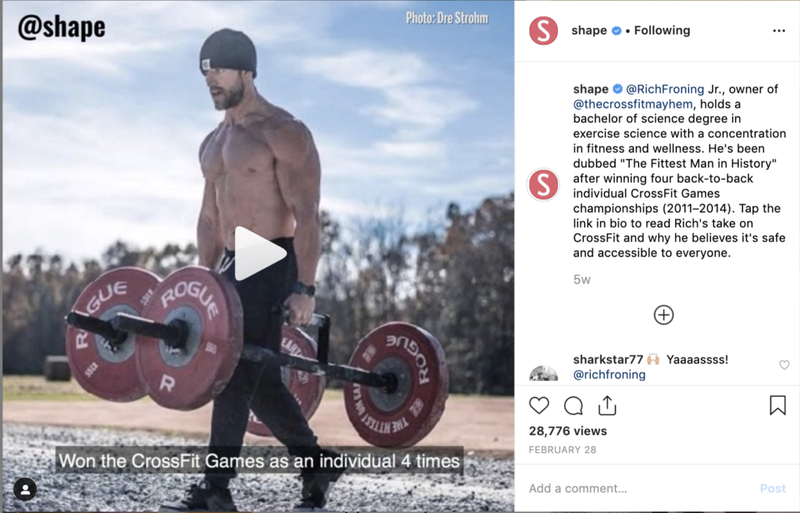 We followed the story as it went viral and were waiting for the perfect time to pitch our client, Rich Froning, the “fittest man in history” and CrossFit expert, to respond to the story. Since we were aware of the timing of the outlets we were targeting and how their news cycle worked, we knew when they would be looking for an expert opinion and were able to secure timely coverage. Research and Know Who You Are Pitching – You may be engaged with the news daily, but also be sure you are familiar with the specific reporter, producer, editor, etc. at these outlets. When an opportunity arises, confirm the person you are pitching is the right contact by doing your research on their previous stories. Build Relationships – At Choice, we believe relationships matter – with our clients, our partners and each other. This is also vital when you are taking advantage of the news cycle. Focus on building relationships with the appropriate media contacts and familiarizing them with your clients. That way, when breaking news happens, they already know you and how your clients can respond. With the CrossFit Open going on in February, there were many stories surrounding the event and the sport itself. We had already established a relationship with Health as we had been in communication with them that our client Rich Froning, could offer his expertise on CrossFit if it was ever needed. 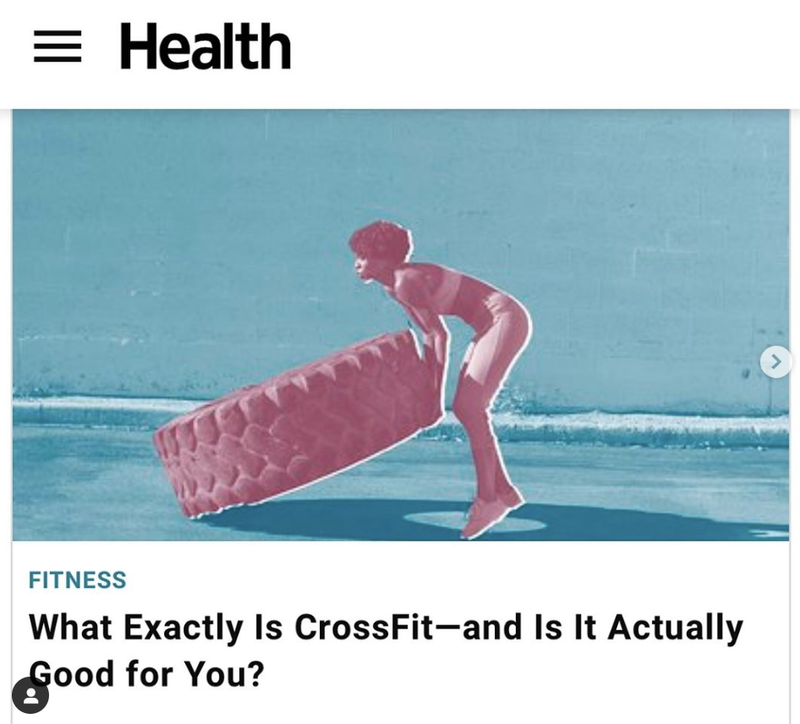 So, when Health was preparing an article including the misconceptions and safety of CrossFit, they knew Rich would be able to offer his voice on the matter. Prepare and Be Creative – When seeking media coverage around the news cycle, be prepared! If you are proactive, you must be ready for all of the opportunities that could arise for your clients. Know the areas where your clients can offer their expertise on and craft pitches around these sectors. When breaking news happens, you can then have more time to be creative as you personalize your responses. As timing matters, being prepped is crucial. We know that to take advantage of today’s immediate and short news cycle as PR professionals it takes a lot of research, preparation, and creativity. But the benefit offers so many incredible opportunities to let our clients’ voices be heard and known. We hope this advice and our practical tips will help you as you seek to garner your own coverage.